1.Use the material reclaimer unit to collect the medical waste into the Measuring Conveyor. 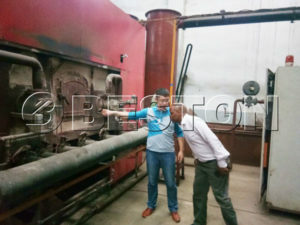 2.The dispersion foggy device in the timber dryer pre- dries out the medical waste and the waste medical freely falls inside the carbonization unit and be dried out for the second time. 3.Then the medical waste falls in the outside bin of the system and starts the high temperature pyrolysis, sulfur emission, flue gas volatile, carbon focused carbide process. 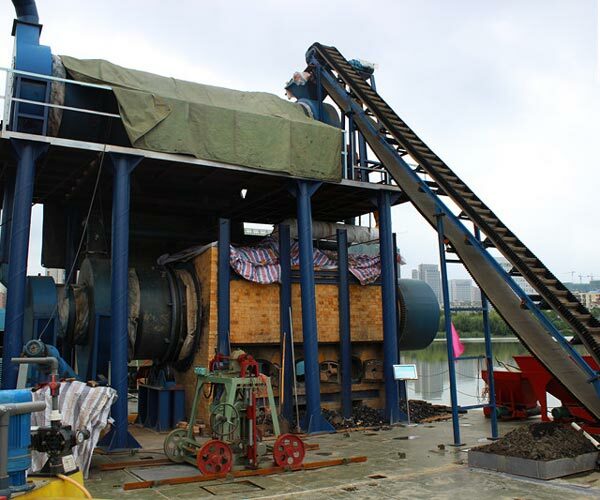 4.The carbide will be discharged by the water-cool conveyor, and the rest hot flue gas and heat will be suffered desulfurization process and smoke abatement process. 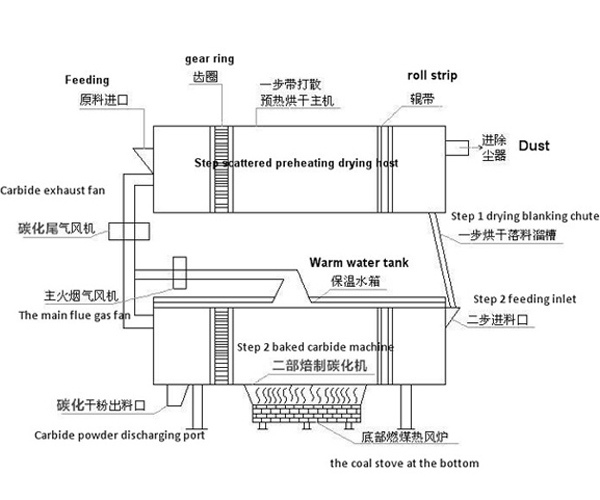 5.The smoke abatement and desulfurization steam will be cooled by the condenser and led to the recycle water pool. 4.The by-product is artificial carbon, which owns fixed higher carbon content (about 90%). Compared with the general coal, its carbon content is twice as much as that of the general carbon.